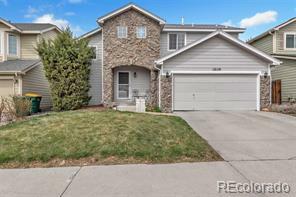 Gorgeous Willow Park trilevel centrally located between Boulder and Denver, an easy drive to work or play! Hardwood floors lead you from the living room through the renovated kitchen into the comfortable family room. The master bedroom boasts a newly remodeled bathroom and plenty of space for all of your furniture. Gather around the backyard firepit and entertain friends on the patio under the shaded pergola. Just blocks from the park and the elementary school. Hope you're packed already!